The Rohini series were Indian scientific satellites and developmental flights of the SLV-3 launch vehicle. 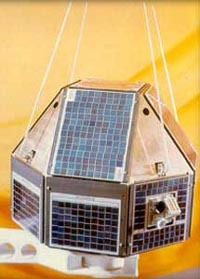 The Rohinis (Sanskrit for "Aldebaran") carried cameras for remote-sensing and radio beacons for accurate orbit and attitude determination. All were launched from Sriharikota.